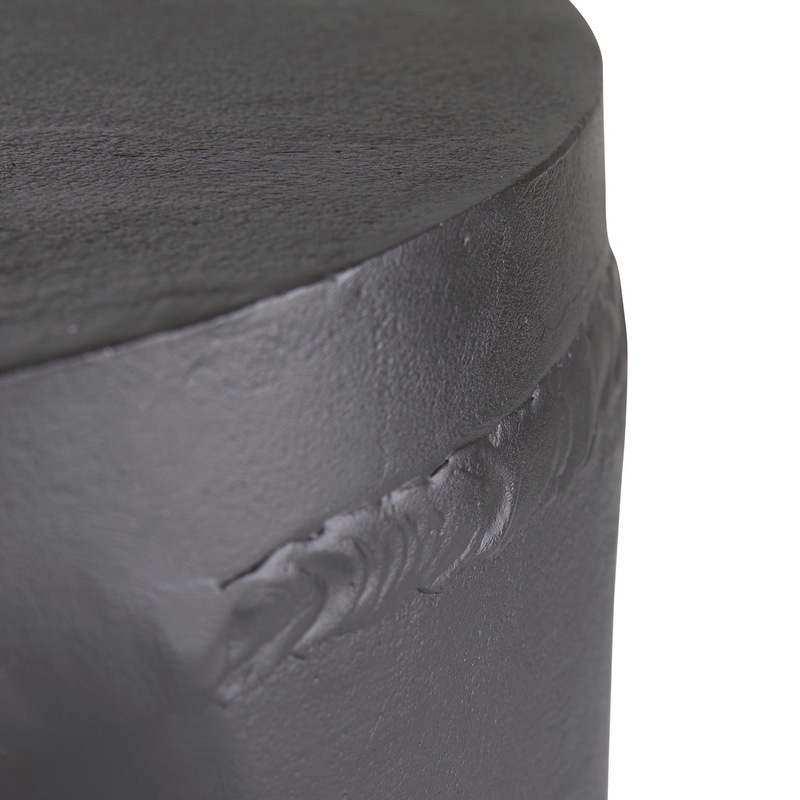 Compact in scale, big on style. 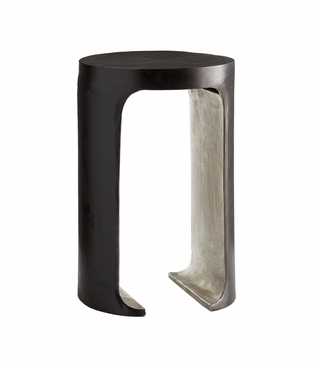 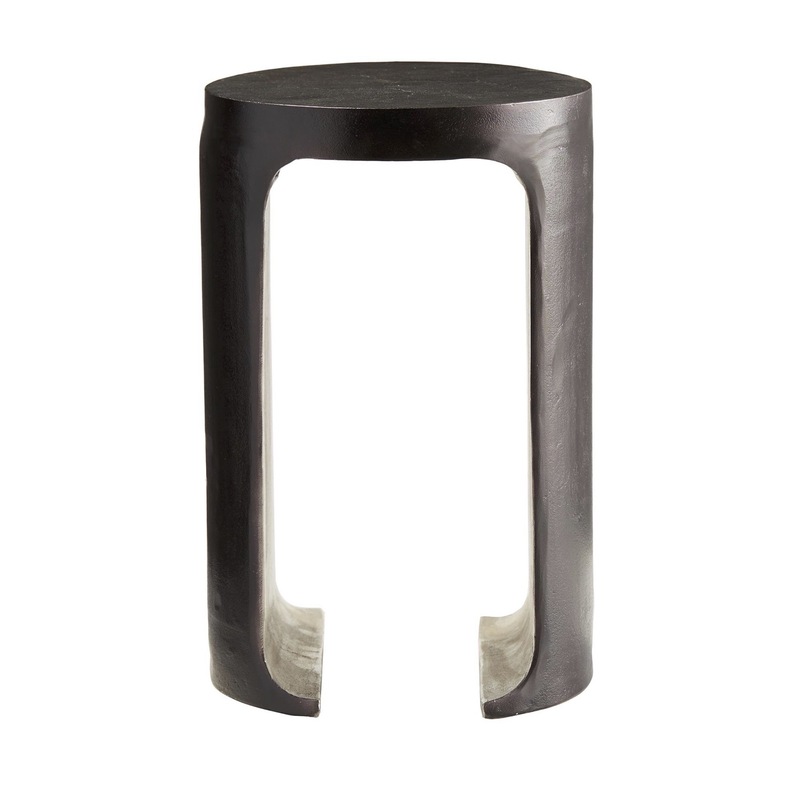 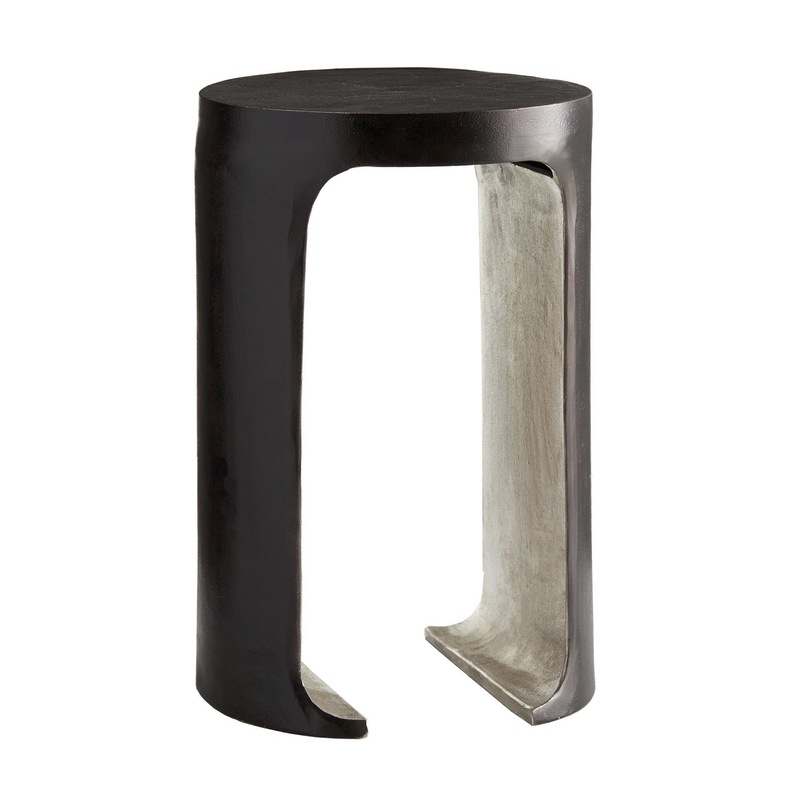 The exterior of this rugged, aluminum cast accent table has a rich bronze finish. 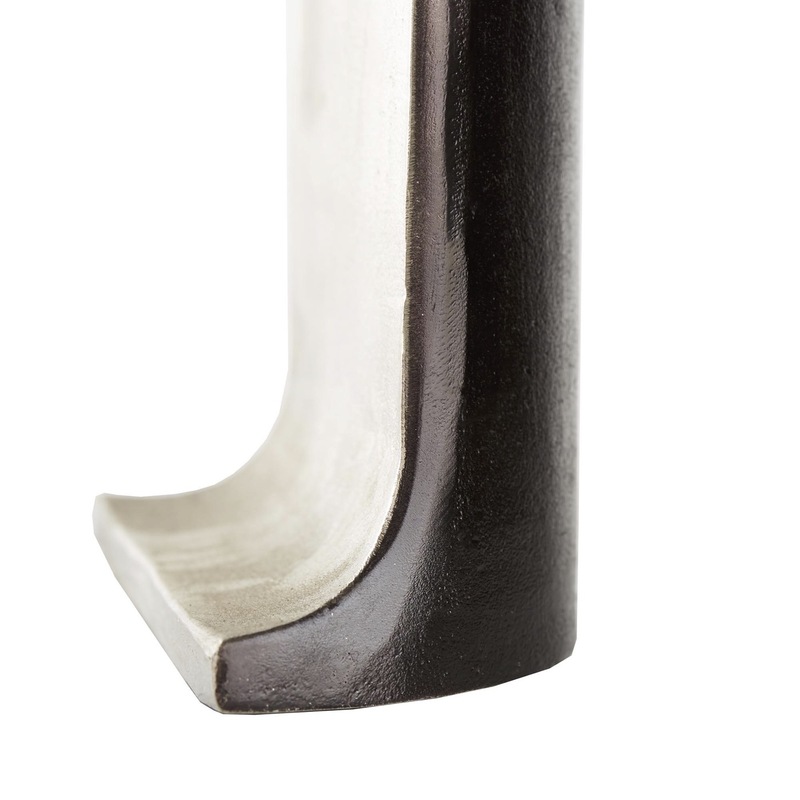 A contrasting, antiqued silver finish is on the interior and highlights the beautiful curves. 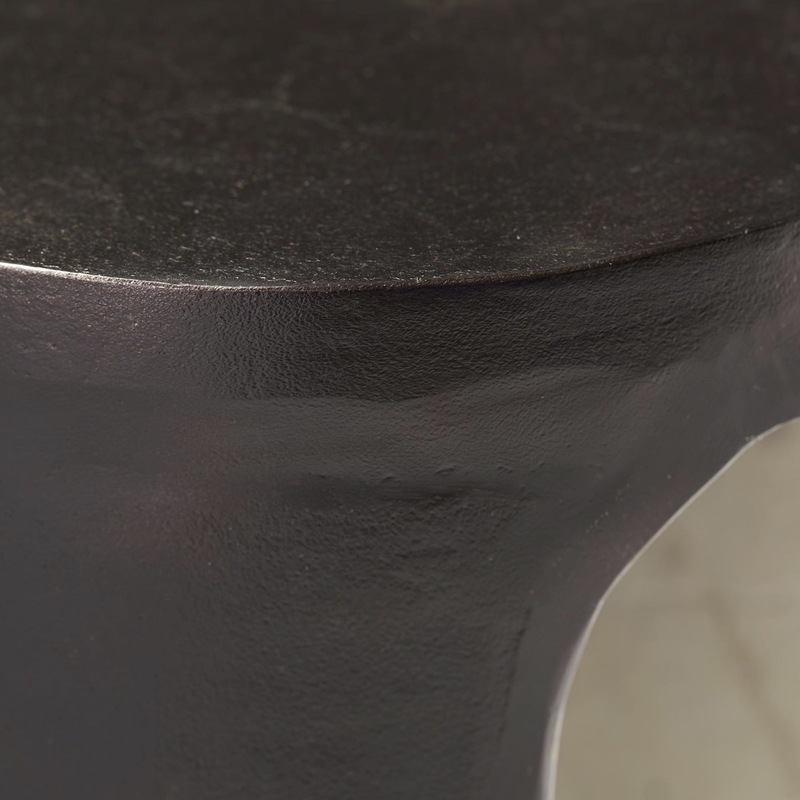 Due to the handcrafted and hand-finished metalwork, minor imperfections, distressing, and finish variations should be expected and considered part of the piece's inherent charm.